BREAKAWAY BAYS - An excellent home for downsizers and an affordable alternative to condo living. This well maintained property is situated in the quiet, north end of the park. Plenty of updates including new exterior doors, laminate flooring and a renovated main bathroom with new vanity. The bright kitchen features stainless steel appliances, a pantry and lots of additional storage. Separate laundry room with full size appliances, plus even more storage. This home has been lovingly maintained. 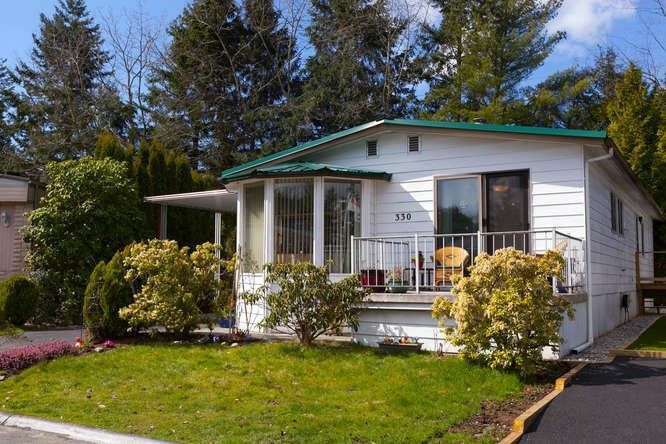 Close to shops, transit, the U.S. border and White Rock beach.